The Asian Human Rights Commission (AHRC) has received updated information regarding the extrajudicial killing of a student leader by persons from the intelligence agencies. A student leader, Afzal Panhwar, who remained in the custody of the security agencies for one year, was again arrested and within some hours he was shot dead by plain clothed persons believed to be from the secret agencies. He was a leader of the Jeay Sindh Student Federation (JSSF) affiliated with the JSMM, a nationalist organization striving for the independence of the Sindh province from Pakistan. During his first detention he was interrogated by Military Intelligence (MI) and Inter Services Intelligence Agency (ISI) on charges of placing bombs on the railway track and on the second occasion he was again abducted on the same charges. Mr. Afzal Ali Panhwar, the son of Munawar Ali Panhwar, a student of M.sc. Biochemistry, Sindh University, Jamshoro and resident of Allama I. I. Qazi hostel block, filed a constitutional petition, number 863 of 2011 on May 11, 2011, seeking the provision of all student facilities according to the catalogue and student’s activities calendar 2011 (STAGS) and the expulsion of police personnel from the student hostels of the university. For further details, please find here the Urgent Appeal Case about his disappearance in 2011: AHRC-UAC-203-2011. Afzal remained in the custody of the MI and ISI for almost one year during which time he was tortured severely. He suffered kidney damage and contracted tuberculosis. He was arrested by police and plain clothed persons on June 26, 2011 from the Hyder Chowk, near Rabia plaza, a crowded market place, at 6.00 pm when he was returning from the university. On June 12, 2012, after unbearable physical as well as mental torture which took place during the period of one year (352 days), he was found in terrible condition in a garbage dump in Dadu city of Sindh, where his captors had left him. After his release he underwent several months of medical treatment. Mr. Afzal was elected vice chairperson of the Jeay Sindh Student Federation and four months before his extrajudicial killing he suffered a kidnap attempt by the beast-like organizations, the ISI and MI. He was seriously injured in the attempt but managed to save himself from being returned to the hell of the torture cells. The following morning he got his statement recorded in the Press Club of Hydrabad, saying he had security reservations about the ISI and MI, as he had suffered a kidnap attempt for the second time the previous night. He, in his statement made it clear before the press club that his life was under threat and the Pakistani agencies, the ISI and MI wanted to kill him. At that time he applied to international human rights organizations to take some action against the uninterrupted brutality being perpetrated against him. On 15 August 2013, Mr. Afzal Panhwar was again abducted by plain clothed persons in the same jeep with no registration plate and was then brutally put to death in a fake encounter in Kotri city, Dadu district. It was announced as an encounter with police when attempting to attack a train. However, the weapon which was fired at the train was an AK47, and the weapon which the police revealed in the encounter with Afzal with is a 32 caliber pistol. On August 16, the whole of Sindh province remain aggrieved against the killing of this innocent student. Please write letters to the following authorities calling them to initiate a judicial inquiry in to the disappearance of a student leader Afzal Panhwar, and his extrajudicial killing in the custody of state intelligence agencies. Please urge them to prosecute the officials of the state intelligence agencies for killing him under their custody. The AHRC is writing a separate letter to the UN Special Rapporteur on Special Rapporteur on Extra-judicial, Summary, or Arbitrary Executions calling for his intervention into this matter. I am writing to voice my deep concern regarding the extra judicial killing of a student leader from Sindh province. I am shocked to learn that Mr. Afzal Panhwar, the victim of an extrajudicial killing was also held in the custody of the state intelligence agencies, the ISI and MI, for one year and suffered severe torture. Recently on August 15 of this year he was again arrested and later killed in a fake encounter. According to the information I have received, Mr. Azal Ali Panhwar son of Munawar Ali Panhwar, a student of M.sc. Biochemistry, Sindh University, Jamshoro, resident of Allama I. I. Qazi hostel block, filed a constitutional petition, number 863 of 2011 on May 11, 2011, seeking the provision of all student facilities according to the catalogue and student’s activities calendar 2011 (STAGS) and the expulsion of police personnel from the student hostels of the university. 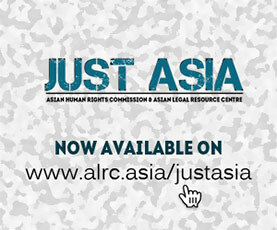 The Asian Human Rights Commission published an urgent appeal about his disappearance in 2011 which may be found at: http://www.humanrights.asia/news/urgent-appeals/AHRC-UAC-203-2011. 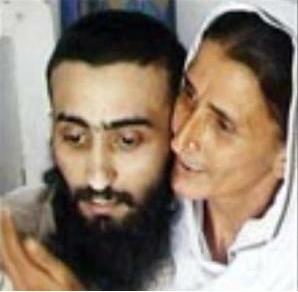 Afzal remained in the captivity of MI and ISI for almost one year during which he was tortured severely. As a result of his mistreatment he suffered kidney damage and contracted tuberculosis. He was arrested by police and plain clothed persons on June 26, 2011 from the Hyder Chowk, near Rabia plaza, a crowded market place, at 6.00 pm when he was returning from the university. On June 12, 2012, after an unbearable physical as well as mental torture of around one year (352 days), he was found in the worst condition from garbage in Dadu city of Sindh, where they had dumped him. I therefore, urge you to initiate a judicial inquiry into the extrajudicial killing of Mr. Afzal Panhwar by the state intelligence agencies in Kotri, Sindh province. Please also prosecute the officials responsible for the killing. It is well known that human rights abuses by the state intelligence agencies are increasing in Sindh province against Sindhi nationalists who are seeking greater autonomy with regard to the natural resources of the province which are usurped by the federal government. I urge you to stop the extrajudicial killings of the Sindhi activists and bring the perpetrators of these crimes to book. They have enjoyed state sponsored impunity for far too long.